Plant-based seafood is a rapidly growing business. Fish-free products can be found at stores across the country from companies like Sophie's Kitchen, Ocean Hugger Foods, New Wave Foods and Good Catch to name a few. As consumers are leaning towards healthier food options - plant based seafood is becoming increasingly popular. Sophie’s Kitchen produces a line of award wining seafood substitutes with vegan versions of seafood favorites that includes shrimp, prawns, squid rings, calamari, breaded shrimp, and breaded fish fillets. The Company's products are non-GMO, and are free from gluten, trans-fats, hydrogenated oils, and artificial flavorings of any kind. According to Sophie's Kitchen Founder & CEO Eugene Wang, Vegan Toona has been the company’s biggest hit in U.S. stores since its introduction two years ago. Sophie's Kitchen graduated from the Food Future Co. accelerator program in 2016 and won a Food Future Asia Award from SPRING Singapore in 2017. Ocean Hugger Foods offers healthy and sustainable plant-based alternatives to popular seafood proteins. The Company's flagship product, Ahimi, is a plant-based alternative to raw tuna. Ocean Hugger Foods has partnered with Aramark to bring the breakthrough ingredient to corporate and higher education cafes. Ahimi will be served in a range of innovative poke bowls developed as part of a collaboration between the two companies. 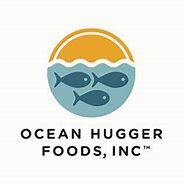 Ocean Hugger Foods raised early stage venture rounds in 2016 and 2017. The Company's investors include - New Crop Capital, Stray Dog Capital and Blue Horizon. New Wave Foods recently created the world’s first plant-based shrimp alternative. Shrimp is the most consumed seafood in the U.S., ahead of salmon and tuna. The Company makes plant-based shrimp entirely from algae & natural ingredients only. New Wave Foods raised venture funding in 2016 and 2017. The Company's investors include - New Crop Capital, Hemisphere Ventures, Blue Horizon, Veginvest and Sand Hill Angels. 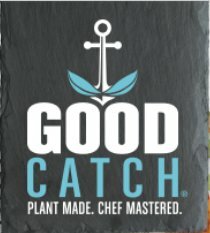 Good Catch is a manufacturer of plant based seafoods that include fish-free tuna and burgers to crab-free cakes, all made with sustainable ingredients. The Company announced in August 2018, an $8.7 million Series A round of funding led by New Crop Capital, along with Thrive Market, Fresh Direct, Blue Horizon, Clear Current Capital, Everhope Capital, MI3, PHW Gruppe, Rocana Capital and Starlight Ventures. Check out our industry analysis - "CPG Transforms-Consumers Take Control" - for more information on the increasing popularity of plant-based foods.